Held in various venues in Armidale and Tamworth. Our very popular children’s/YA literature festival, held in partnership with the local sub-branch of the Children’s Book Council of NSW, returns for the fourth fabulous year! This year, the featured guests will be author/wildlife photographer Jan Latta and author Belinda Murrell, creator of the phenomenally successful Lulu Bell books for young readers, as well as many acclaimed historical novels for older children. Jan and Belinda will visit schools on the weekdays and on the Saturday will present creative community workshops, be part of panel session discussions with local authors and illustrators, and do book signings. They will also participate in an Authors and Illustrators LiveLink video-link workshop. Local authors and illustrators will also be featured at the festival, and there will be a special event celebrating the centenary of the most long-lasting children’s literature magazine in the world, NSW’s very own School Magazine. 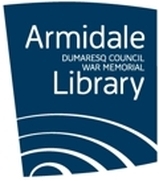 Sponsored by Armidale Dumaresq Library, the New England Regional Art Museum, and the New England and North West sub-branch of the Children’s Book Council of NSW. Learn how to create detailed pen and ink drawings with local artist and illustrator Fiona McDonald in her beautiful toy shop! Join well-known children and young adults' author Belinda Murrell as she teaches you the basics of writing for children. Author panel: A lively panel featuring authors Belinda Murrell, Sophie Masson, Fiona McDonald and Beattie Alvarez. Illustrator panel: An intriguing panel, featuring wildlife photographer and author Jan Latta, and illustrators Kathy Creamer and David Allan. Join Belinda Murrell in celebrating the launch of her latest book The Lost Sapphire.